Sea of Serendipity is a collaborative work with sculptor Kazu Nakagawa and composer/sound engineer David Bowater. 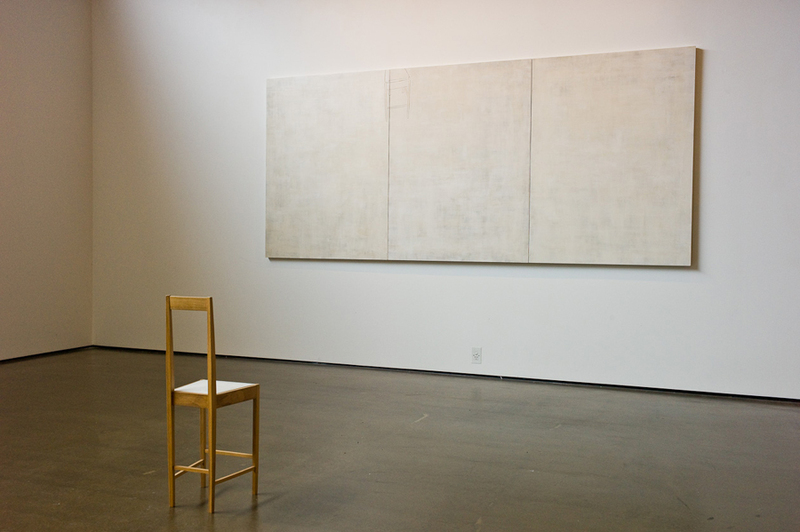 The work alters the dynamics of a gallery room where a chair and a canvas depicting the chair (both made by Kazu) set up an unexpected dialogue between the viewer and the viewed. Sounds recorded in Kazu's studio (composed into paired electroacoustic works by Helen and David) overlay this interaction, essaying a hidden relationship between making and viewing art. The work was exhibited at the Suter Gallery (Nelson, 2000, and Christchurch Polytechnic I.T/ Art & Design (2001). Helen Bowater began her composing career in 1985 with Raindance, a work in which she sang as soprano accompanied by two clarinets, piano, drum and bullroarer. Since then she has held various composer residencies including the Nelson School of Music (1992), Otago University Mozart Fellow (1993), the Auckland Philharmonia Composer in Residence (1994), the Jack C. Richards/Creative New Zealand Composer Residency—New Zealand School of Music, Victoria University of Wellington (2008-2009) and the University of Otago Wallace Residency at the Auckland Pah Homestead (2016). She has been performed and broadcast extensively in New Zealand and internationally; has featured in concerts and compilations of New Zealand music and represented New Zealand in festivals abroad.